Extreme pure and clear Iboga rootbark (Gabon - Africa) from 15 - 20 years old trees, blessed by the Bwiti. The word 'Bwiti' refers both to the religion - 'the Bwiti religion', and the group that practice it - 'the Bwiti'. There are estimated to be approximately 2-3 million members of the Bwiti religion scattered in groups throughout the countries of the Gabon, Zaire, and the Cameroun. Most are from the two principal tribal groups of the region, the Fang and the Mitsogho. The origins of the religion are obscure, but most writers seem to believe Bwiti is essentially derived from pygmy religious traditions which have been modified and adapted to suit local tribal tastes. Bwiti has thus become a highly synchretic religion, drawing from a multitude of sources, and interpreted slightly differently by each group that practice it. The rootbark of the Tabernanthe iboga plant is usually referred to as 'iboga' or 'eboka' and it has two principal uses within the group. Firstly, small doses are used as a stimulant, principally when hunting and as an aid to ritual work. And, secondly, a much larger dose features as a central element of the 'Bwiti initiation ritual' - a powerful 'rebirth' ceremony that group members typically undergo before the commencement of their teenage years, and is a requirement for group membership. Both sexes are initiated and the ceremony typically lasts three days, beginning on a Thursday afternoon and ending Sunday morning. Iboga is eaten on the first night of the initiation ceremony and may be further consumed on subsequent nights should it be deemed necessary. 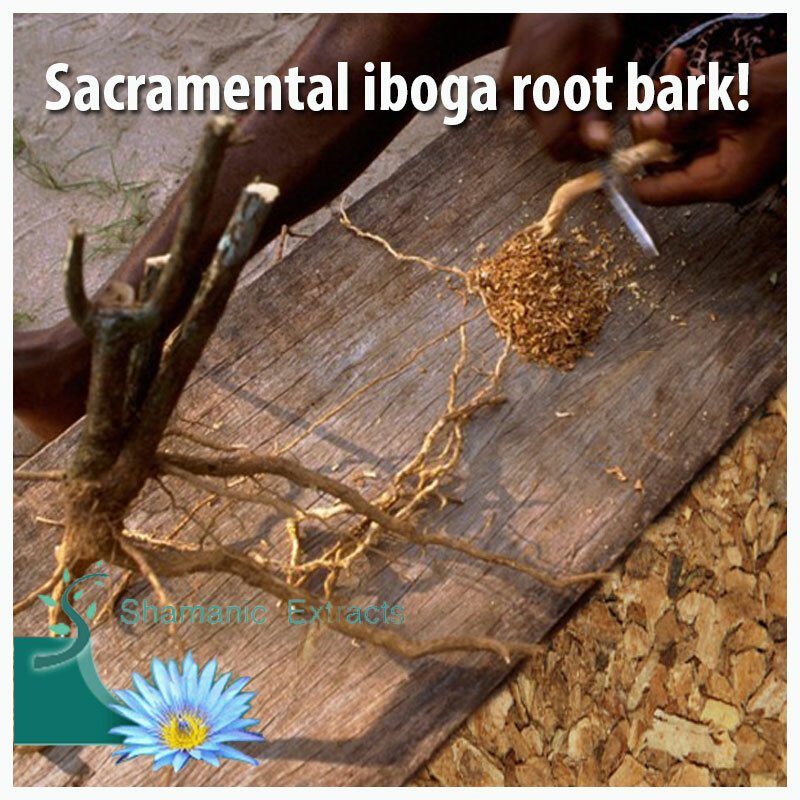 The consumption of iboga is supervised by the 'nganga', a senior priest of the religion whose knowledge of iboga's effects on the body and mind is such that he or she is aware of when the initiate has had sufficient. The overall objective of the ritual is to allow the initiate to enter deeply into the subconscious mind with the intent of emerging 'reborn'. In the depths of this inner realm, he or she is expected to actually 'meet' the original Bwiti, the founders of the religion, in the form of primordial male and female figures. But this can only be achieved once mighty terrors that lurk before them have been overcome. This 'inner journey' is analogous to that undertaken by many 'hero' figures in classical mythology. And, in more Western terminology, it might be said that the usage of large doses of iboga here is intended to remove the effects of accumulated trauma or conditioning on the system. And further facilitate access to archetypal figures located within the Jungian concept of the 'collective unconscious'. Extremly solid, greatly uncommon Gabonese Iboga rootbark shavings. Restricted supply sourced on the Gabon/Cameroon fringe, getting around the prohibition on fare of Gabonese Iboga wood. Get it while it keeps going, Gabonese Iboga is rare! This iboga helped me understand myself more, and opened my heart to love. Good quality and honest service. Share your experience about SACRAMENTAL IBOGA ROOT BARK with other customers. Submit your tips or thought on this product, be detailed and specific.